Created so that his skin will render well under any lighting and settings,for the promos I have used Poser 2014 standard Lighting and also lighting from our Godwin product. No Postwork or Filters used on any image.. 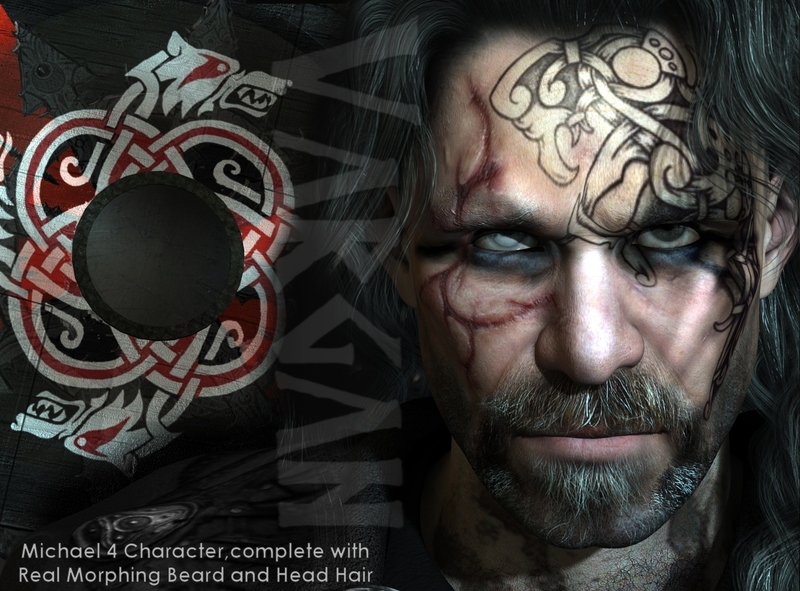 The Morphing Beard is created within the Poser Hair room this will NOT WORK IN DS !